Without a doubt, the face of technology is always changing. This has never been more prevalent than in the world of digital forensics. It can often be extremely difficult for science to keep up with the advancements in technology, and this is something that is frequently seen in the world of forensics as various organizations find themselves playing catch up with an industry that is constantly evolving. As a direct result, it is not at all uncommon to dedicate an entire method of study to digital technology in order to make an attempt at remaining current with the technology that is in use. Therefore, mobile forensics came into existence approximately 10 to 15 years ago. Its definition is exactly as its name implies. It is designed as the forensic study of any and all mobile devices, including smartphones, tablets, PDA’s and even GPS systems. The purpose for its existence is to utilize information retrieved from these objects in various types of investigations. Most people obviously think about uses in law enforcement when they hear the word forensics. This is true and in many cases, that is exactly the area that mobile forensics is most effective in. Law enforcement agencies of all types frequently use this type of study to better understand where someone was when a call was made or received, or to retrieve information from a particular device in order to aid in an investigation. In many cases, people have been convicted because of information that was found on mobile devices that put them at the scene of a crime or revealed other incriminating evidence. By the same token, many crimes have been solved because of information found on the devices that were owned and operated by the victims of a crime, especially when it comes to those victims who can no longer speak up for themselves. 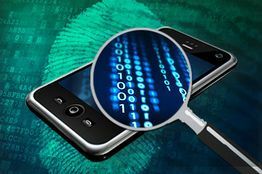 However, law enforcement is not the only area that takes advantage of mobile forensics. Just as the study of the subject can be used in law enforcement, it is equally as effective in both corporate and private investigations, as well as military applications. Of course, as is the case with virtually any type of science, there are challenges that investigators must deal with and overcome on a daily basis. Remember, mobile forensics is still a very new form of science and the challenges that are present within it are often unique. For example, is still difficult to pinpoint a location when a mobile phone sends or receives a call. This is especially true in rural areas where the signal can ping off of several towers before finally finding one that allows the call to go through. As a result, there are times when the signal might ping off of a tower that is actually far away from where the call was actually made. Other challenges include devices that are vastly different, making it difficult to have any type of standardized practices when it comes to investigation. If these challenges do not make the entire process difficult enough, consider the ever-changing devices that are constantly being produced. As soon as a new device becomes available, the one that was new only a few short weeks ago is now obsolete. This constantly changing technology makes it exceptionally difficult for investigators to develop practices that work for any length of time. As a result, it forces them to continuously readjust their investigative methods in order to come up with viable solutions. Mobile forensics is definitely here to stay. In fact, there is every indication that it will only become more important as this type of technology continues to become something that more and more people are unable to do without. Only a few short years ago, there were actually relatively few people that had a cell phone with them at all times, but today everyone seems to have a smartphone and a few other devices to boot. That makes it even more important to find effective ways to investigate crimes by utilizing the information that can be obtained from these types of devices.